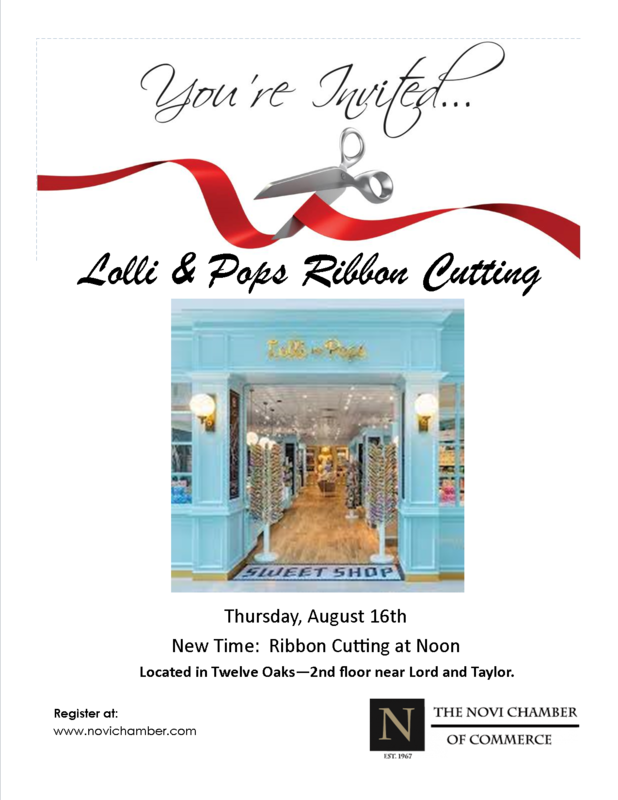 Please help us welcome Lolli & Pops into our great Novi Community. This is their first store in Michigan and they are located in Twelve Oaks Mall down in the Lord and Taylor section on the 2nd floor. Lolli & Pops is a premium purveyor of sweets, candies and confections. This includes colorful French macarons, marzipan fruits and a bulk bar that features a gummy bear selection of more than 15 unique flavors. Lolli & Pops brings together an assortment of high-quality treats which are offered with inviting, informative service in quintessential candy stores. By sourcing the best confections from across the world and presenting them in a beautiful shop, the experience of discovery is just as delightful and inspiring as indulging in the treats. With almost 60 stores nationwide and plans to reach 80 stores in the next year, Lolli & Pops is sharing sweetness and delight with millions of guests around the U.S.